As Director of Cloud Services, Greg Mollica has been with OmniVue since 2005 overseeing implementations and cloud infrastructure solutions. Greg leads OmniVue clients in best practice applications and configurations, maintaining organizational readiness, migrating to new technologies and mitigating operational risks. He was previously the Director of Technical Operations for Navisite, Inc.’s Microsoft Business Solutions Group. 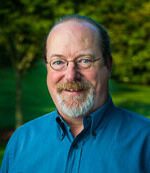 Greg is a Microsoft Beta Technical Lead and served as a member for the Microsoft CRM Partner Advisory Board. He holds a Bachelor of Science in Business in Information Technology from Michigan Technological University. When his head is not in the ‘cloud’, Greg enjoys reading, traveling and outdoor adventures.